A common question: "I was in a truck accident. Do I need a personal injury lawyer?" Short answer: It depends. A lot of factors need to be assessed to determine whether or not you need a personal injury lawyer after being involved in a truck accident. 1. Was the Truck Accident your fault? If you caused the truck accident, and you are at fault (i.e., you pulled out in front of the truck), your insurance company will hire an attorney to represent you pursuant to the requirements of your auto insurance policy. Don't worry about retaining your own personal injury lawyer - just report the claim to your insurance company. 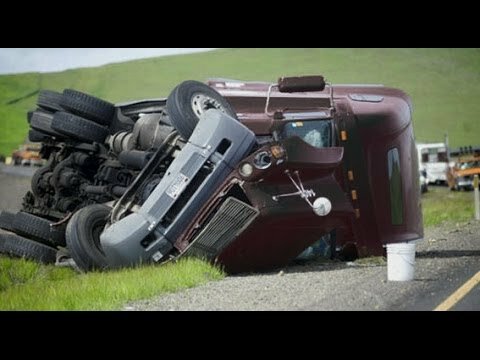 If the truck accident was not your fault, you should contact a personal injury lawyer to discuss your case and its potential for compensation under North Carolina law. 2. Were you injured in the Truck Accident? No harm, no foul, right? Maybe, but at the very least you probably had property damage to your vehicle. You may be entitled to compensation if your car was damaged and the accident was not your fault. If you were hurt, with either minor or major injuries, you should absolutely schedule a free consultation with a personal injury lawyer who has experience dealing with insurance companies. 3. Can the Defendant cover your injuries? In order to get fair compensation for your injuries after an accident, there needs to be something to go after. Normally there will be a commercial liability insurance policy covering the truck involved, which will generally provide more than enough coverage to fully compensate you for your injuries. However, some drivers do not carry liability insurance or may not have enough to cover your injuries. 4. How much is your personal injury claim worth? Without question, high value personal injury claims should be pursued by a personal injury lawyer, but what about low value cases? Sometimes it doesn't make sense to use an attorney because their fee will offset any added money they may be able to get for you. This question is best addressed by a personal injury lawyer during a free consultation. If you have been injured in a truck accident and it wasn't your fault, you should seek compensation for your injuries. To best assess the strength of your case, schedule a free consultation with a personal injury lawyer. If you want to speak with a Cary Personal Injury Lawyer about your Truck Accident, contact us today.